A gripping adventure in the grand tradition of sea sagas…Terror on the Alert had me holding my breath and compulsively turning pages. —Ian Weir, author of Will Starling. The year is 1962 and the Cuban Missile Crisis is brewing. Naval lieutenant Ted Hawkins is sent to sea aboard the HMCS Alert, a submarine with the express mission to shadow an aggressive Soviet submarine. Hampered by trauma-induced claustrophobia and a superior officer with a grudge, Ted struggles to maintain self-control while performing his daily duties. But when the Alert is struck by an enemy torpedo two hundred miles off the coast of Gibraltar and the boat’s commanding officer is incapacitated, Ted is forced to take control of the vessel and its crew to ensure they have a fighting chance at survival. 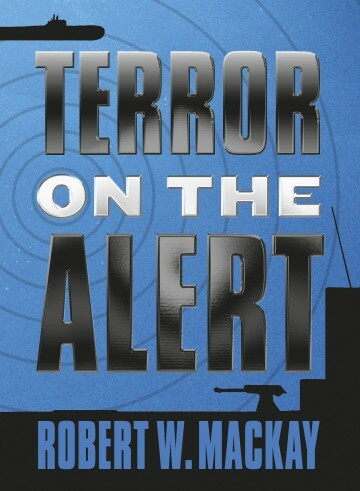 Terror on the Alert is an exciting military thriller that proves there are enemies on both sides of war.